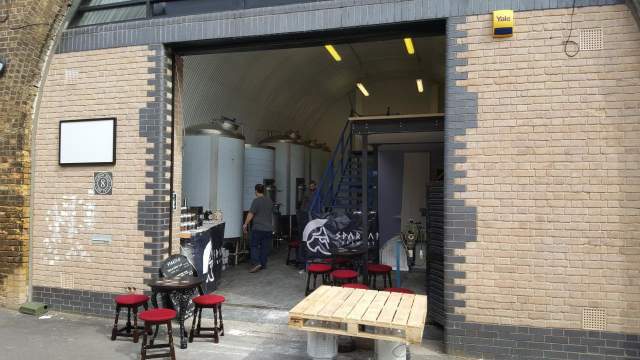 The second new brewery in Partizan's old space in Bermondsey. Spartan have been brewing at U Brew while setting up their new brewery on Almond Road. With Affinity next door, Eebria a few arches away and Partizan round the corner, they are in the heart of the southern section of the Bermondsey mile. Expect the beer range to grow, but for now they offer a couple of drafts and a few cans. In due course the tap room will move to the mezzanine.